If you’ve never been to Groningen, it’s a pleasant college town in the northern Netherlands. It also happens to share its name with one of the world’s largest natural gas fields. Tourists are best advised to focus on the scenic bicycling routes. Exxon Mobil is more attuned to what lies beneath. The region around Groningen has a problem that is becoming familiar in places like Oklahoma: earthquakes brought on by gas production. On Wednesday, a Dutch court ruled that the production cap on the giant field should be reduced temporarily by another 18 percent, to about 950 billion cubic feet for the year that started October 1. Altogether, the cap has been cut by about a third since 2014. That’s a problem for Exxon, which owns 50 percent of the joint venture that operates the Groningen field (its partner is Royal Dutch Shell). And it’s not just about the constraint on output. The market’s reaction is also troubling — or rather, the fact that the market didn’t react at all. U.K. natural gas futures were actually lower on the day. The effect of falling production from Groningen, which has been pumped for more than half a century, can be seen in Exxon’s gas production figures. Between 2010 and 2014, the company’s Dutch output — of which the field is a large part — fell by 19 percent. Through October, Groningen’s output was down 28 percent versus the same period in 2014. There is some flexibility in the Dutch court’s ruling in case of a harsh winter. Assuming the cap holds, though, and if November and December account for about a fifth of 2015’s output — in line with the proportion last year — then it implies production being cut by a further 15 percent in the first 10 months of 2016. Declining Dutch production has been part of a marked shift in Exxon’s gas portfolio: European production has fallen from around a third of the total to a quarter, while the U.S. has jumped from a fifth to 31 percent, largely because of the XTO Energy acquisition in 2010. Diversification is a good thing, but in the case of global gas it is proving less useful these days. The International Energy Agency just published its latest long-term outlook. Demand in European OECD countries is forecast to keep dropping through 2020, down another 3 percent from 2013 levels. Meanwhile, U.S. gas consumption is forecast to rise by 8 percent. On the face of it, then, having less production in Europe and more across the Atlantic looks good. Except that gas markets face a glut around much of the world. Despite better growth prospects, U.S. benchmark gas futures don’t rise above $3.50 per million British thermal units by the end of 2020 and are roughly a buck lower along the forward curve compared with a year ago (and way lower than when the XTO deal was struck). Meanwhile, massive liquefied natural gas projects are about to start up in places like Australia, likely leading to a glut for several years that could see spare cargoes dumped into sluggish markets like Europe. That may help explain why European gas prices on Wednesday shrugged off the Dutch court’s ruling, although mild weather is also a big factor. For Exxon — which along with Shell and some other large peers has become relatively more of a gas major over the past decade or so — such insouciance is a bigger concern than the weather. After all, tighter caps on Groningen output ought to induce at least a mild quake in the market. 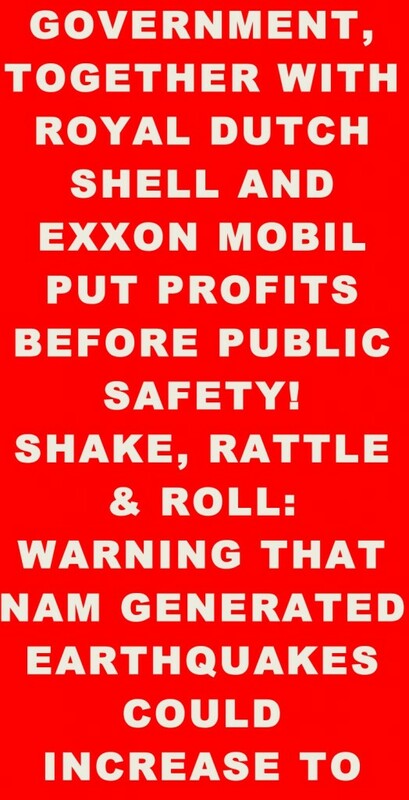 Posted in: Bloomberg, Environment, Fracking, Gas, Groningen Earthquakes, NAM, Netherlands, Royal Dutch Shell Plc, Shell.